Dexter is an unincorporated community in northern Calloway County. It is a “census-designated place” and has a population of 277 people as of 2010. The town features a few streets on a grid and was once incorporated. Similar to the nearby towns of Almo, Hardin and Hazel, Dexter was originally a railroad camp when the Paducah Tennessee and Alabama Railroad was building a line through Calloway County in 1890. Sam M. Jones, the landowner at the future site of Dexter, donated the right of way for the tracks and the site for the station on condition that he name it Dexter. He chose the name after Dexter, Mo, which at that time was a thriving railroad town. Several of Jones’ friends and neighbors were given employment in the Missouri town, so he decided to honor it by naming the station Dexter. A post office was established on December 19, 1890 with General Buford Williams the first postmaster. 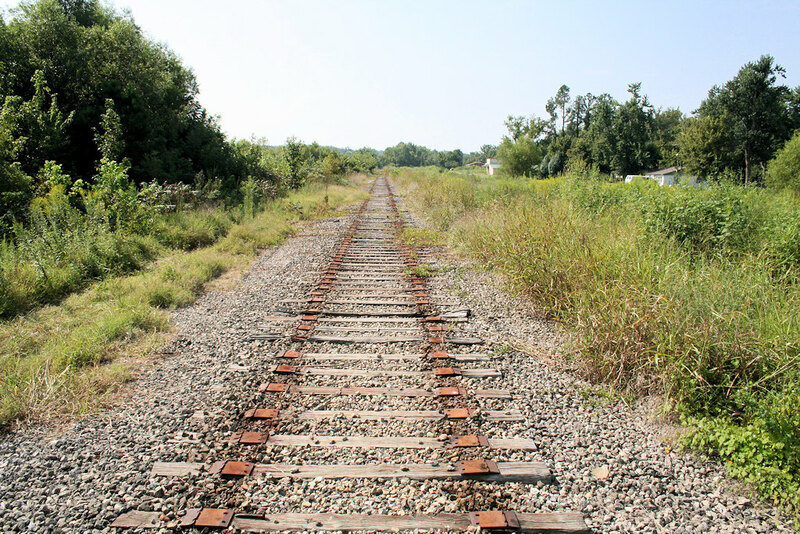 The railroad was abandoned with the tracks pulled in August 2009 (see photo below). 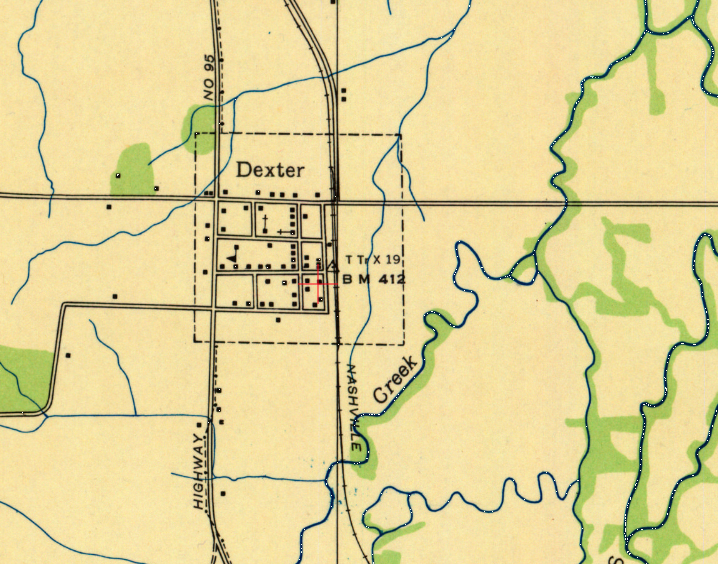 At some point after 1960, Dexter became unincorporated. 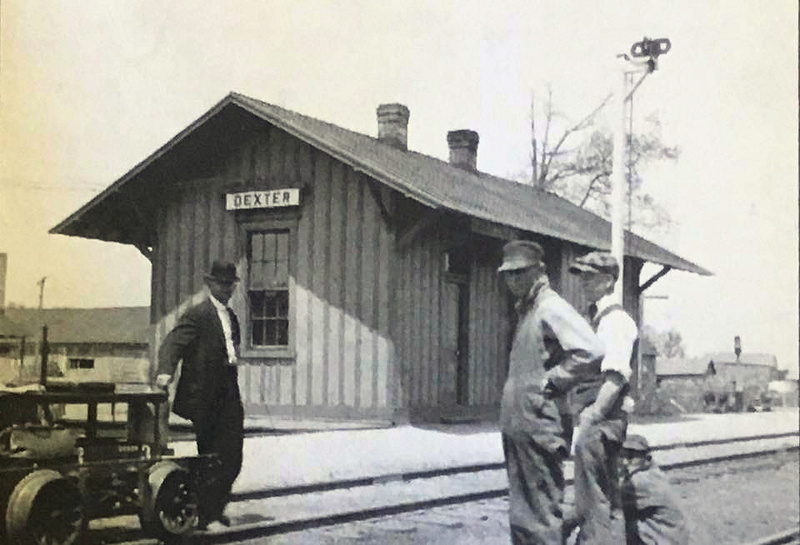 This photo shows the Dexter station and railroad from the early 20th century. Thanks to Michael Hale for sharing. The community is located just to the east of US 641, about seven miles north of Murray. This map from 1936 shows Dexter. In 2010, the US Census Bureau shows Dexter, an “census-designated place”, having a population of 277. If you have any information or photos you’d like to share about Dexter, please contact us. Some information was provided by the book Kentucky Place Names. abandoned railroadCalloway Co. KYDexter Ky.